Posted on 13 March 2013. President Michael Sata is promoting politics of hate and confrontation by continuously disrespecting and attacking opposition political party leaders at the expense of initiating dialogue to address the many challenges the nation is facing. 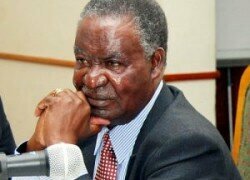 Zambia Direct Democratic Movement (ZDDM) vice president Charles Kafumbo said that President Sata as the commander in-chief of the armed forces was supposed to exhibit high levels of discipline and to take every criticism in his stride. Mr. Kafumbo said that President Sata should refrain from lobbying for arrests and prosecutions of his perceived political enemies. “President Michael Sata’s attacks on UPND president Hakainde Hichilema and MMD president Nevers Mumba are politics of confrontation. Mr. Sata must realize that he is the head of state for everyone in this country. He must also know that he is a commander of all armed forces in this country who is supposed to exhibit tolerance with criticism. He must refrain from directing security wings or heads of those wings to investigate and prosecute the citizens he is supposed to govern because by so doing he is promoting politics of hate and confrontation,” said Mr. Kafumbo. He said that the directives given to the Director of Public Prosecutions (DPP) Mutembo Nchito to investigate and prosecute Mr. Hichilema for being rich was petty and immoral way of governing the people of Zambia. Mr. Kafumbo said that President Sata’s directives to the DPP were endangering the lives of the people of Zambia he was supposed to lead by issuing directives which were not only criminal but also divisive.